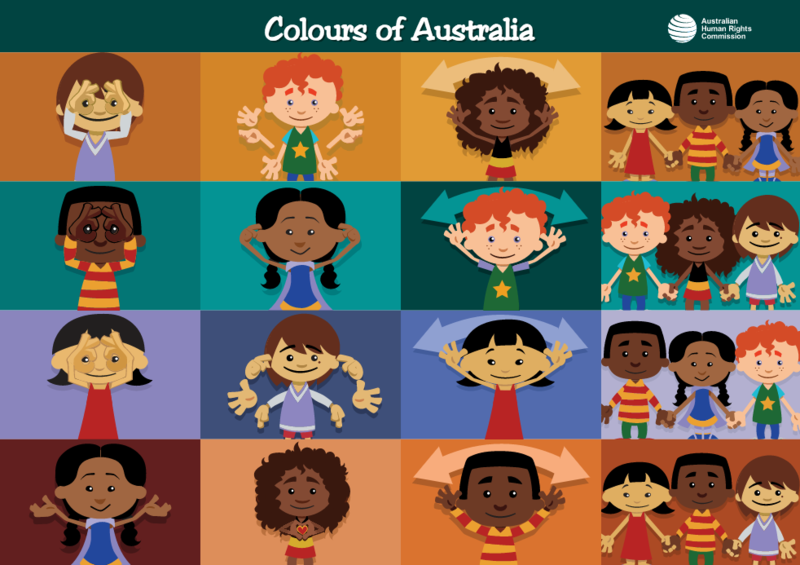 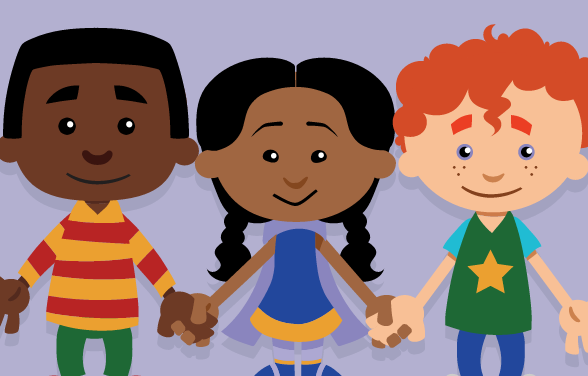 The ‘Colours of Australia’ poster shows the characters from ‘All my friends and me’ demonstrating the actions to the ‘Colours of Australia’ song. 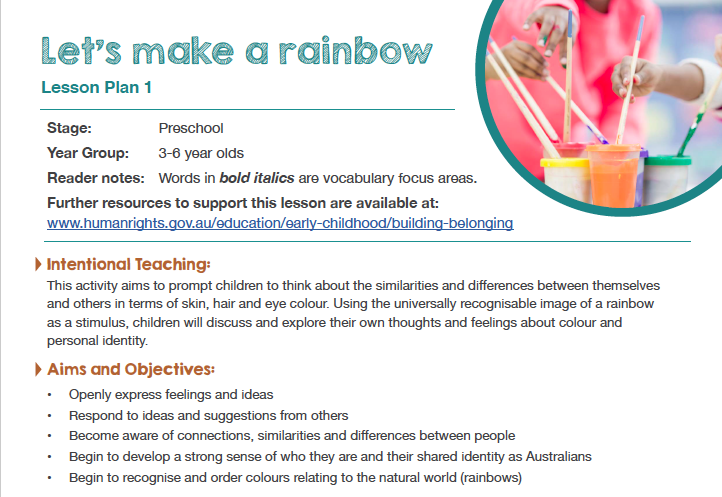 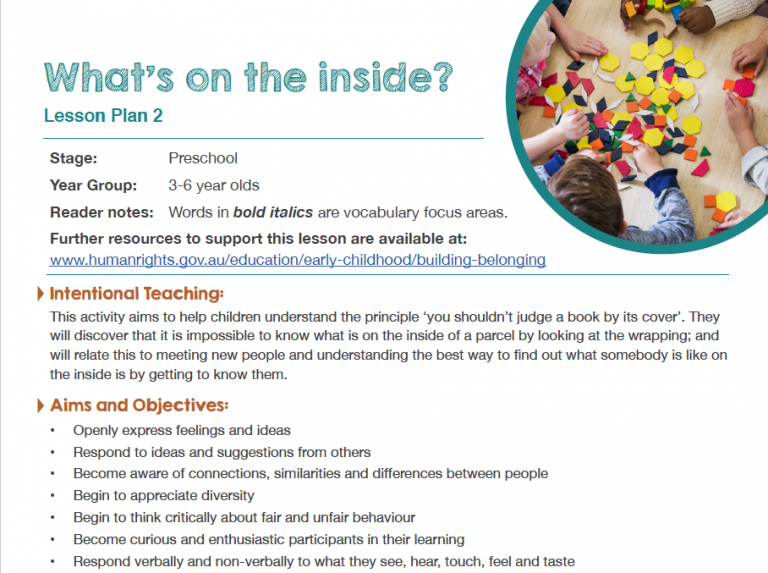 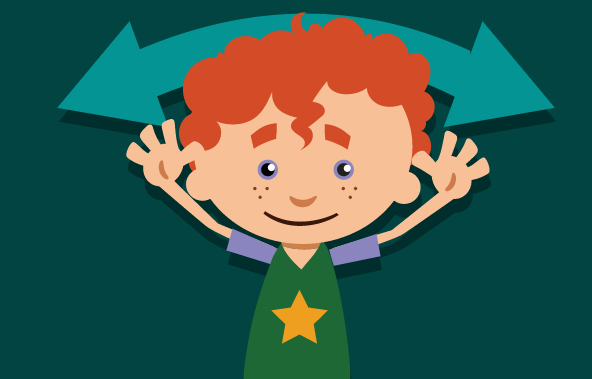 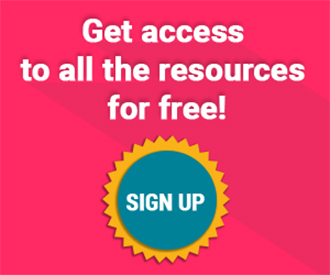 It is part of ‘Building Belonging’, a comprehensive toolkit of early education resources which includes an ebook, song with actions, educator guide, posters and lesson plans. 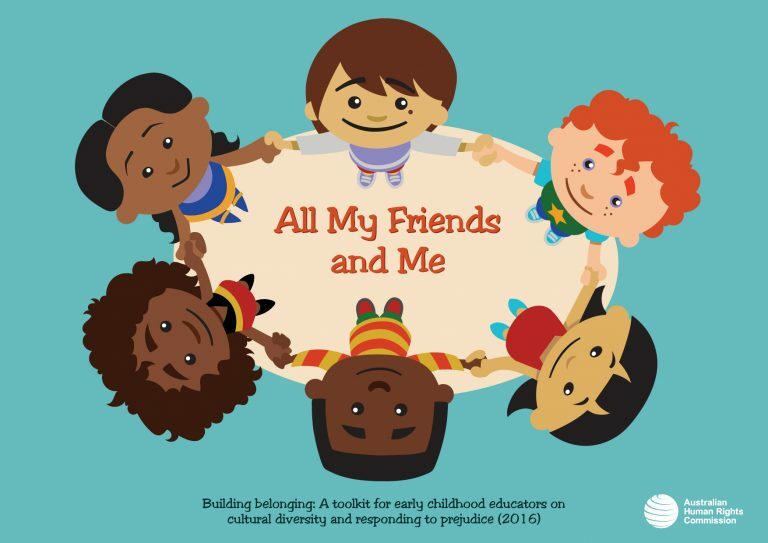 It is focussed on encouraging respect for cultural diversity and tackling racial prejudice in early childhood settings.